Vasyl Lomachenko looking confident to win his fight against Guillermo Rigondeaux. The fight is big and massive crowed and big pay-per-view fight expected at Madison Square Garden in United States. 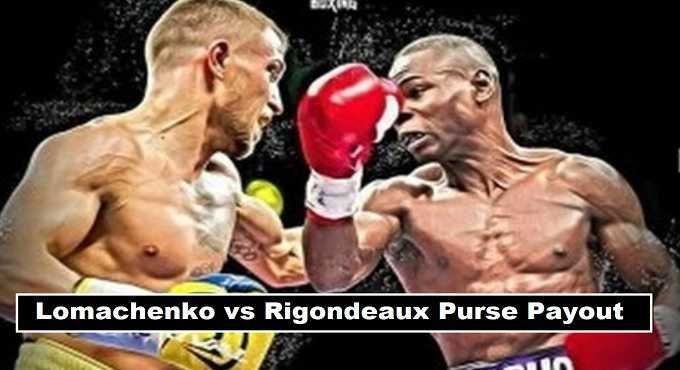 Guillermo Rigondeaux who did not suffer a single defeat in his career have a tough challenger from Ukraine. Bob Arum the promoter of (Lomachenko ) announced his third fight for 2017. Lomachenko defeat Miguel Marriaga in his last fight and hopeful to give same kind of performance once again. The winner of the fight will leave the arena with (WBO super featherweight championship). How much purse money paid to the both boxers. Here all the details about the purse split. There is currently not much information how much money paid to Vasyl Lomachenko for the fight. But if we see his previous purse payout details according to sources the would make guaranteed purse money of ($1.5 million). His opponents Rigondeaux will earned somewhere round about ($800k). This will be big money fight for the Cuban boxer.